I’ve found myself writing more and more on Facebook, and a friend suggested I start blogging. After giving it some thought, I decided to try expanding this blog from its on-again-off-again musings about horses, fencing, etc. to being a forum for my writing in general. I’ve been dragging my feet, though, because I haven’t yet finished writing the third installment about diesel engine exhaust valve installation for pickups. (Curiously, I don’t have people begging me to finish that series….). Today, I am determined that an unfinished post from last December about my adventures as a grease monkey is not going to keep me from posting other stuff. So, here we go…. 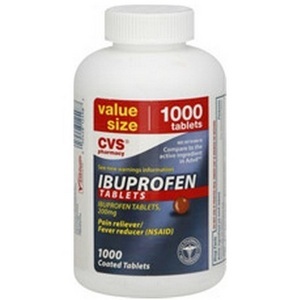 Study shows NSAIDs, such as ibuprofen and naproxen, can have major negative health effects regardless of medical history. Really? Okay, let’s go see if the jumbo-sized bottle of ibuprofen in the medicine cabinet just became toxic waste. The AARP article wasn’t too bad for a lay media publication, but something didn’t sit right with me in the quotes from two of the physicians on the FDA panel who announced the need for sterner warnings on NSAID labels. They felt choppy. So I did some googling and found a New York Times piece on the same subject, along with some others. They provided some of what was missing from the quotes: this stuff called context. So here’s the comment I posted to AARP’s Facebook posting. Before people go off the deep end, take a look at the whole picture. The message is not that NSAIDs are unsafe, but that they are not the risk-free pain-relievers that we would like for them to be. No medication should be used without good reason, whether it be herbal remedies, aspirin, penicillin, Viagra®, Prevacid®, acetaminophen, naproxen, ibuprofen, or anything else. All medications have some risk associated with their use, and that risk is not the same for everyone or even for the same person in differing circumstances. So, yes: stop taking ibuprofen because you think you *might* get a headache or before exercise as preventative for muscle soreness [Ed. note: this is a Bad Idea™ for plenty of other reasons]. But don’t throw the medication bottle out unless you are a) in a higher-risk group AND b) your doctor advises you to stop using NSAIDs. As pudgy-but-not-obese forty-somethings with healthy hearts, I am relieved to report that our bottle of ibuprofen will be able to stay right where it is and continue to minister to our occasional aches and pains on an as-needed basis. Maybe America will someday be able to stop panicking about the things that sound scary—but which actually have a low chance of hurting us unless we are a member of a particularly at-risk group—and concentrate instead on doing something about the things that really are scary—which, even though they have a much higher chance of hurting us, we blithely accept every day, doing little or nothing to reduce our risk exposure. You know… existential threats like rapid sea level rise, arctification, mass species extinction, desertification, and natural disasters. Or risks of personal mortality, like riding in a motor vehicle, having a gun in the house, smoking, a sedentary lifestyle, depression…. Yeah. Little stuff like that. Michael Heggen is a horseman, maker, and thinker who lives in Salem, Oregon with his wife, Kim, and "three to eight cats". He stays quite busy riding, driving, and caring for their three horses, Boulder, Shasta, and Bob. Among other things, Mike has been a fencing coach, police chaplain, computer consultant, aspirant to the diaconate, computer salesman, box boy, carpenter, computer technician, typesetter, church youth leader, copy machine operator, and network administrator. His other interests include juggling, reading voraciously, and (pretty occasionally these days) cycling. This entry was posted in Uncategorized and tagged AARP, cognitive bias, medicine, risks. Bookmark the permalink.